Tokens. A blog by Artist David Wills. : Glossy. Making The News. 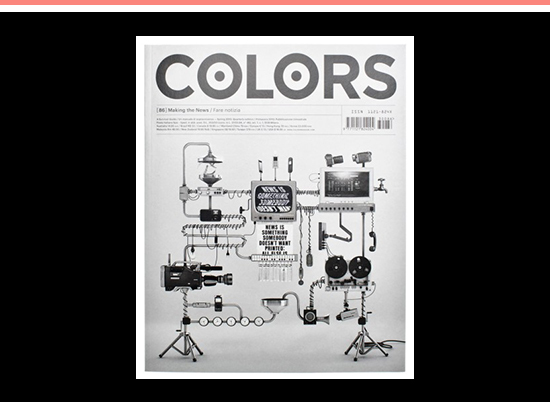 Another brilliant issue from Colors, this time focusing on news-making around the world. Insightful, amusing, jaw-dropping and scary. Brilliant.